An Artist of Stardom defense, a Queens Quest challenge match and Oedo Tai doing battle in the Goddesses of Stardom Tag League. 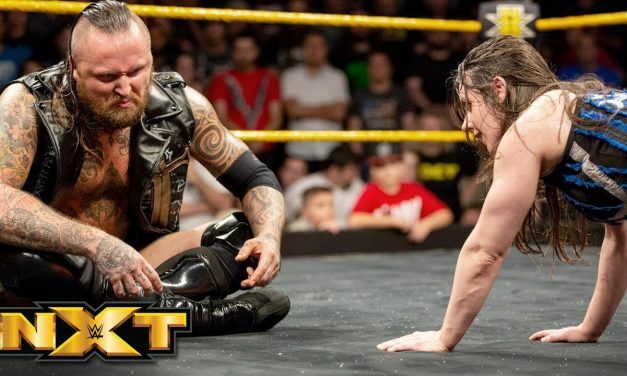 The best of the best from a busy week in WWE including the debut of NXT UK. Day two of Goddesses of Stardom block action has a familiar opener and some bad influences taking on two rookies. Night 1 of Stardom’s Goddess of Stardom Tag League kicks off with a rookie opener, a new main heel taking on the Future of Stardom champ and block action. The best of WWE from last week including the return of Shawn Michaels and D-Generation X!